A normal ignition coil inherently generates back electromotive force (*1back EMF) during operation. This back EMF negatively affects the ignition device inside the coil, decreases plug voltage, and negatively affects plug efficiency. With this problem, voltage not only becomes unstable but also produces ignition time lag in the next ignition cycle. 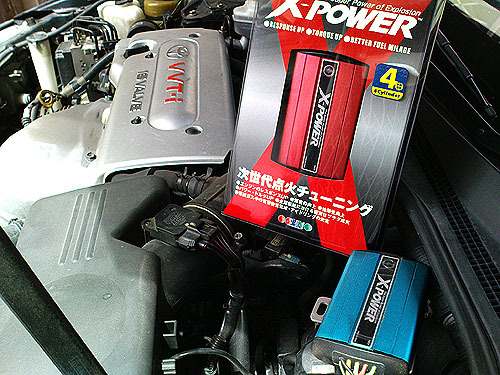 X-POWER works by absorbing all back EMF, which aids to improve lag voltage and promote complete combustion by producing 100% coil efficiency. Furthermore, X-POWER eliminates any ignition performance loss due to decreased electrical current under heavy throttle.